Pros: Ft Wilderness resort area is a quick boat ride away from the Magic Kingdom. This location makes it an affordable and ideal location for many families. If your family wants to get away from the hustle and bustle after a day at the parks and connect back with nature, this resort will be sure to please. The cabins give all the creature comforts of home with a full kitchen, deck with grill and living room area. For those who want to save money on dining and cook while visiting Disney, this is a great option. If camping is your thing, there are also campgrounds for you to set up your tent, or spots for your camper or RV. This resort area offers the most recreation opportunities available at Disney. With options like horseback riding, swimming, fishing, boating, basketball and volleyball courts, evening campfires and so much more, it is hard to be bored here. The guests at this resort can often be found inviting neighbors to a game of baseball or other activity. During the holidays, the campers, tents and cabins are often decorated to celebrate the season by the guests staying there. It is the one resort that feels like you are at home hanging out with friends and neighbors. Due to the size of the resort, Disney has golf cart rentals available so you can travel around the property with ease. Cons: The size of the resort area is quite large and overwhelming to some. Disney provides an internal bus system within Ft. Wilderness to get around the property. This can be time consuming and a little confusing. 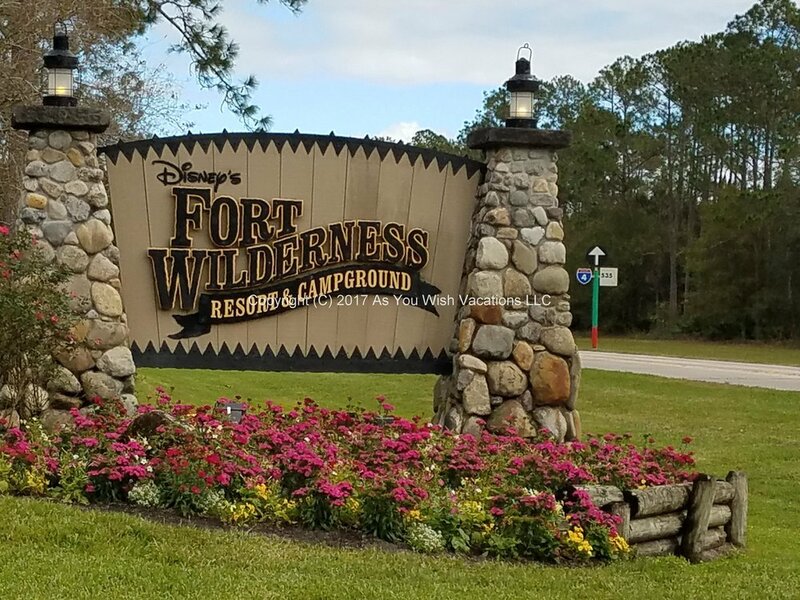 The accommodations, whether cabins, tents or RV spots are not close to the dining and transportation to the parks so a golf cart or use of the internal bus is essential. The golf carts are an additional daily fee and there are not enough for each camping space or cabin so early reservations are essential. This resort is also very popular with snow birds and families so if you are hoping to reserve a camping spot you should plan well in advance. Even though there is boat service to the Magic Kingdom, it does feel very remote from the rest of the WDW property. Since this is in a heavily wooded area, bug spray is also essential. If the bugs like to munch on you, this may not be your first choice of resort.